Louise Cook is well in charge of the 2WD Production Car World Rally Championship and took points for an impressive 6th place in the Production World Rally Championship on her WRC Rally Acropolis debut. The British Female Rally Champion Louise Cook contested the 2nd round of her World Rally Championship career this weekend, her toughest to date, the WRC Acropolis Rally Greece, based in Loutraki, Corinthia. The Acropolis or maybe ARockolis is notorious as a car wrecker and of being the most demanding on machinery. Louise and her team knew getting the showroom class Fiesta ST to the finish line was going to be a big survival game. To come away from the event with a remarkable 6th place in the Production World Rally Championship and 29th overall from the 54 starters was an amazing result. The Acropolis Rally kicked off in front of the impressive Zappeion in the centre of Athens. Thousands of spectators attended to wave the crews over the start ramp as they headed out to the opening stage. 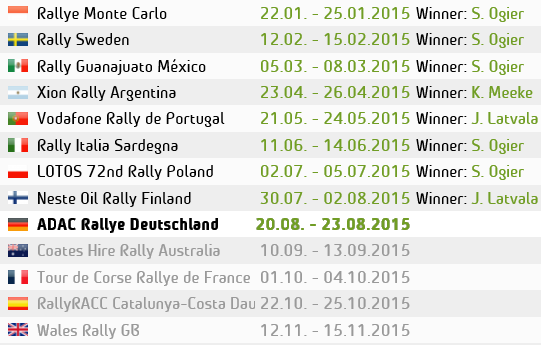 The strategy for the Acropolis Rally was to see as many stages as possible and a finish would be amazing but doubtful. Louise was looking to gain on her limited mileage and experience and to absorb the most that was possible from the event. The longest day of the rally, Day 2, offered 170.8 stage kilometres and a whopping 534.31 road kilometres and with only a couple of 15 minute services to patch up the car if there were any faults. The remote base for the day was in Itea some 200km away from the main Service in Loutraki, so a long day for both service crew and the crew in the car. 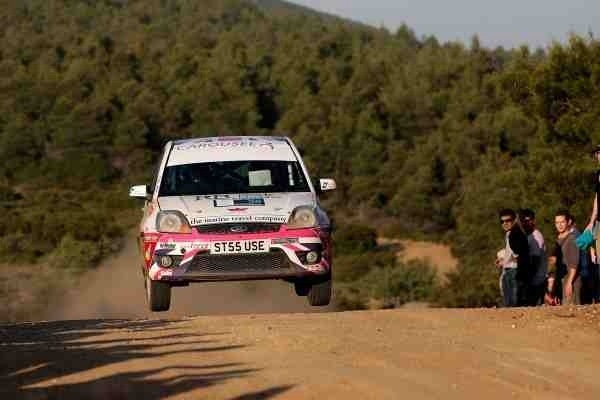 The afternoon brought some twisty but smooth stages which Louise enjoyed. The 3rd day Saturday was full of the roughest stages of the rally. In the first stage of the day, the poor Fiesta was bouncing over some seriously rough holes and knowing that the next stage was the roughest of the entire rally, Louise took a cautious approach. After retrieving the car from stage 11, the service crew had a maximum of 3 hours to discover the cause and get the car in shape for the final day of the rally. The mechanics found a sensor plug had come apart and this was causing the car to cut-out. At the end of the first stage of the last day the PWRC class leader Nicolas Fuchs fell victim of the rough conditions. The rear suspension failed and Nicolas who had a massive 5 minute lead going into the final day was now leaving the rally with 0 points. This reinforced Louise’s strategy to go safe and bring the car home. The retirement of Fuchs meant Louise gained an extra 2 points now an amazing 8 points for her PWRC position. Louise now looks on to the long haul to Rally New Zealand in 4 weeks time where she will take the wheel of a rented Fiesta ST to gain experience of the cambered New Zealand roads.